On March 11, Japan’s most powerful earthquake in recorded history shook the Tohoku region in northeast Japan. The unprecedented death and destruction was not wrought by the 9.0-magnitude quake however, but by the tsunami that followed. Today, eight months later, the challenges facing the devastated Tohoku coast are still formidable. All along the 600 km (373 miles) of affected coastline are waterlogged ghost towns of shredded buildings in various stages of cleanup. The rushing water consumed entire first stories, leaving houses looking as if they were built on stilts. But no house can be torn down until the owner or a surviving family member submits the paper work. They must also be present for the demolition, which can be difficult if their temporary housing is far away and they don’t have the means to travel. In Higashimatsushima, about 40 km (25 miles) northeast of Sendai City, the only signs of life are small demolition crews at work on seemingly random houses. Genitsu Ito, a sturdy 80-year-old, stares through what had been his new home eight months ago. He is there to witness the bulldozers finish what nature started. 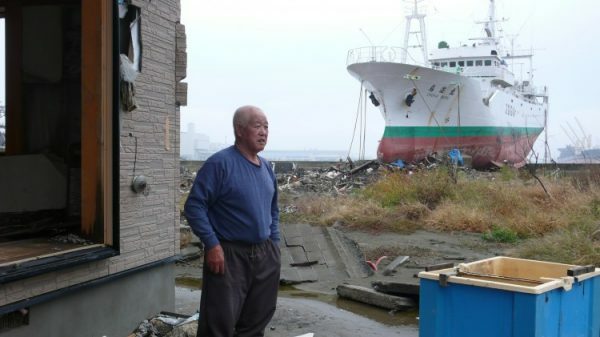 Nearby, the tsunami deposited a 452-ton fishing boat in what might have been his neighbor’s living room. In the crucial hour between the earthquake and worst of the tsunami, Ito’s son came and drove him and his grandson to higher ground. Ito’s sister also survived, he says pointing at her tattered house a short distance away, but five family members died in the traffic jam trying to escape. Ito is negotiating with the government for compensation, but says he’s lucky because his house was paid for and insured. Farmers have it the worst he explains, because they’ll get the least compensation. Still, he’s hoping the government will buy the land since most of the community was relocated here to make way for an air force base some years ago. Nearby in Tonashinba, the road ends abruptly at a washed-out bridge. A demolition worker explains they can only work half the day because once the tide comes in, there is too much water to continue. A large part of the Tohoku coast sank in the quake—many towns can never be rebuilt where they once stood. The government is completing surveys of where is safe to rebuild and where it must be abandoned. According to Jyuro Saitoh, Tonashinba sub-district chief, the low-lying land in Tonashinba was actually reclaimed land in the first place, going back some 300 years. Saitoh, who lost his house and now lives with in-laws, says he’s talking to officials in Miyagi Prefecture to find a piece of land for the whole community. One-tenth of the community’s 600 residents perished in the tsunami. In the meantime, Saitoh is doing what he can to keep his community connected. About 70 people returned for a ceremony in June to mark the beginning of the demolition of 200 houses; another ceremony is planned for the start of reconstruction. 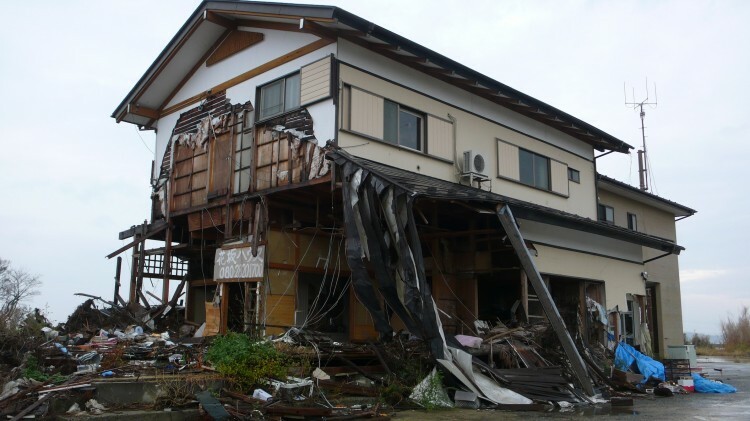 The devastation in towns like Ogatsu or Onagawa in Miyagi Prefecture and others further up the coast was so extensive they may not ever recover. Onagawa was a scenic town situated on a bay surrounded by lush hills. The tsunami channeled 1 km (3,300 feet) inland and rose higher than 100 feet. It killed over 900 people out of a population of 11,000 and obliterated the port and commercial center. The homes on the hills survived, but their owners now overlook a post-apocalyptic bay where there used to be shops and services. Fukushima Prefecture was equally ravaged, and has the added misery of nuclear contamination. Workers at the crippled Daiichi Nuclear plant have still not achieved a cold shutdown, and there’s no long-term plan for the tens of thousands from the 966-square kilometer (372-square mile) “off limits” zone. Japanese consumers in other parts of the country are undecided to what extent they trust the government’s assurances about the safety of a growing list of Fukushima products. Regardless of what’s true, Fukushima as a brand name is sure to be tainted into the foreseeable future, making it even harder for those economies to be resuscitated. 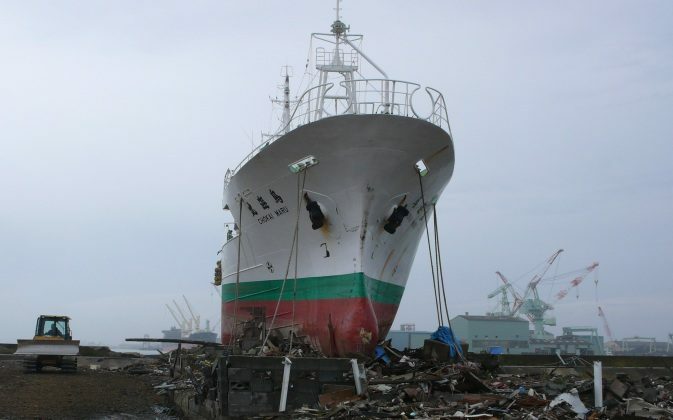 Ishinomaki was one of the worst hit cities by the tsunami. Almost half the town was underwater and more devastatingly, 200 companies that comprised its fishing and fish-processing industries no longer exist. They had employed about 20,000 of the city’s 160,000 people. Hiroyuki Takeuchi, editor-in-chief of the local newspaper, the Ishinomaki Hibi Shimbun, says jobs are what the city needs most to recover. Even the newspaper is suffering. Advertisements have dropped by 60 percent since the tsunami forcing the daily paper to shrink from eight pages to only four (six on Saturdays). Nevertheless, in a survey conducted by the paper, 60 percent of respondents said they want to stay and rebuild. “So we need to learn wiser ways to coordinate with this powerful nature, to live with it,” Takeuchi says. He says the conversation about rebuilding has made a significant shift in the last month. At first people talked about rebuilding the town as it was, but now the discussion is about making it even better. “People are nostalgic about their hometown, but now they realize the town had problems even before: people were leaving, industries were shrinking, and so on,” explains Takeuchi. For decades before the disaster, economies throughout Tohoku were struggling with depopulation, aging, and lack of investment. 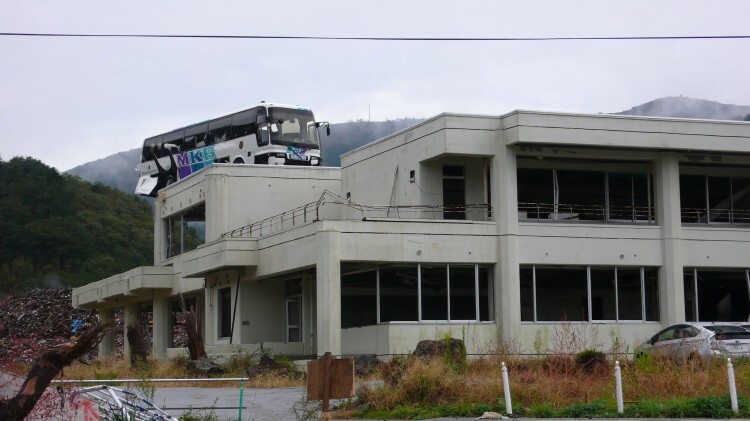 One idea being discussed in Ishinomaki is building houses on stilts, leaving the ground floor for parking. Some local groups are also working on alternatives to a government-proposed, unattractive 23-foot (7-meter) tsunami wall. When asked if the city is discussing these ideas with other communities, Takeuchi shook his head. With their nearest neighbors, yes, but not beyond that. Takeuchi, like many others in Tohoku, is critical of the central government for reacting too slowly. Winter is coming and people need help, says the editor, but Congress is still debating the budget. People are waiting for decisions on the big issues: compensation, plans for permanent housing, and employment. “Lots of people can’t see their future. They have no house, no job, and what happens when the compensation money runs out?” asks Takeuchi. Ryuta Sawamura was finishing his degree at Tohoku Fukushi University in Sendai in welfare psychology when he was faced with a real-life application of his studies. He became the de facto coordinator at the Disaster Volunteer Center in Sendai because despite the city’s disaster preparedness workshops, he was the only volunteer from the training programs who showed up. Sawamura says the failure at the Miyagi prefectural level was that they didn’t have information from other areas to know their situations and allocate volunteers effectively. As a result, most volunteers were put to work in Sendai City where they already had more manpower and were better organized, even though other areas were harder hit. Reconstruction isn’t just about physical structures—although housing is certainly high on the list of priorities and anxieties—it’s also about rebuilding communities. “Now people have living space, food, etcetera, but the community is totally destroyed. This isn’t something the government can do,” says Sawamura. The Sendai Volunteer Center (no longer “Disaster Volunteer Center”) coordinates visits to people in temporary housing and hosts activities where those displaced can gather. Other areas in Tohoku have set up similar programs independently. Sawamura says they also pay attention to who isn’t coming and send social workers to reach out to them. One of the main goals is to prevent lonely suicides. While he doesn’t have exact figures, Sawamura says because of their efforts, suicide rates have been lower in Sendai than after the Kobe earthquake in 1995. Sawamura wants to write a book based on his experiences to advocate for establishing permanent disaster prevention centers in Japan. He believes if strong networks already exist—in reality and not just on paper—when disaster strikes again they’ll be ready to respond, which would reduce the impact. “If people can learn something from what Japan went through, I’ll be happy,” he says. Takuya Kodama contributed to this report.